Today I am going to share with you the best way to grocery shop for mindful snacking. After all, snacking is one of my favorite things, but you must be careful not to go crazy. I can go crazy every once in a while. For so many of us, including me, the grocery store can sometimes be overwhelming with so many isles, products, and labels you may not know where to begin. 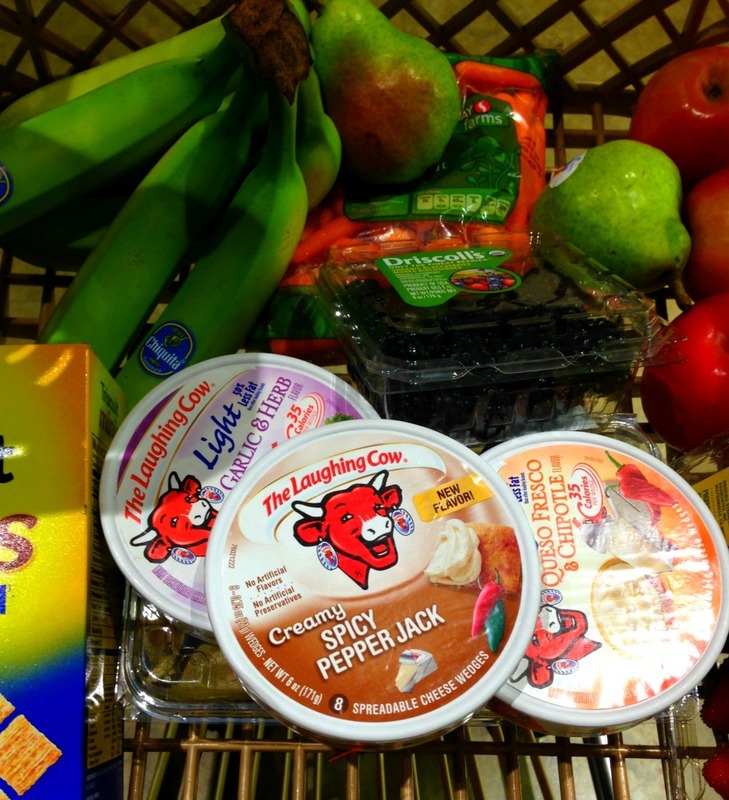 So today I teamed up with The Laughing Cow to help shed a little light on grocery shopping. 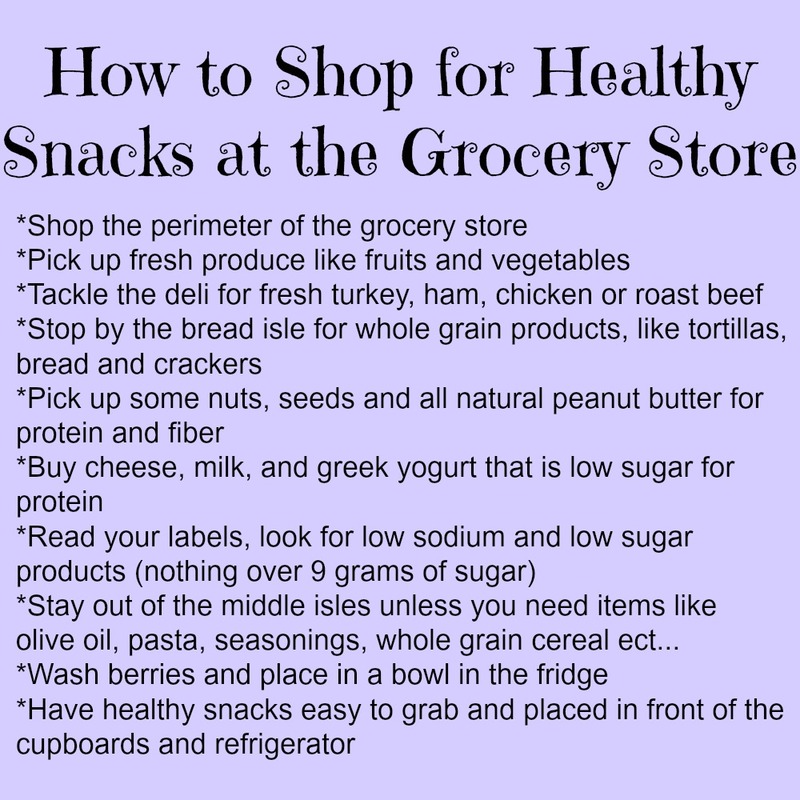 Come shopping with me, and see what healthy goodies you can get that is simply perfect for snacking. 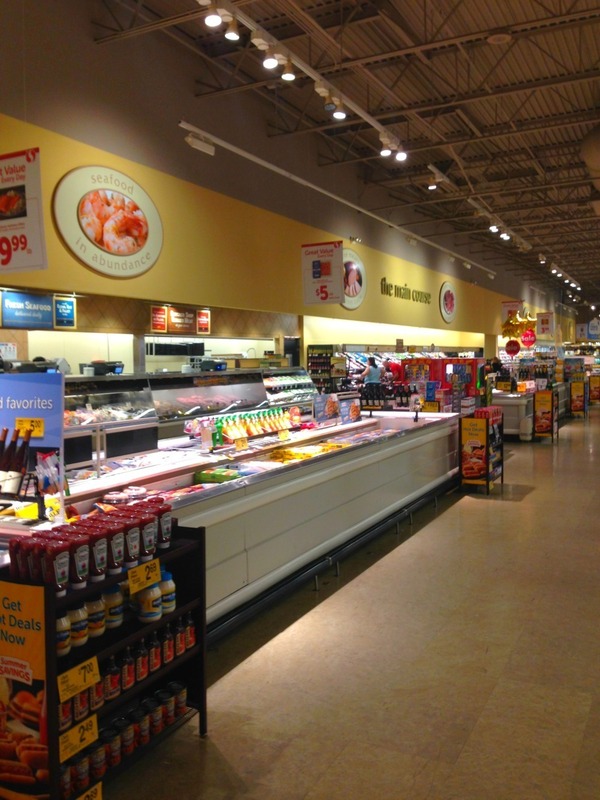 The first thing I do is shop the perimeter of the grocery store. 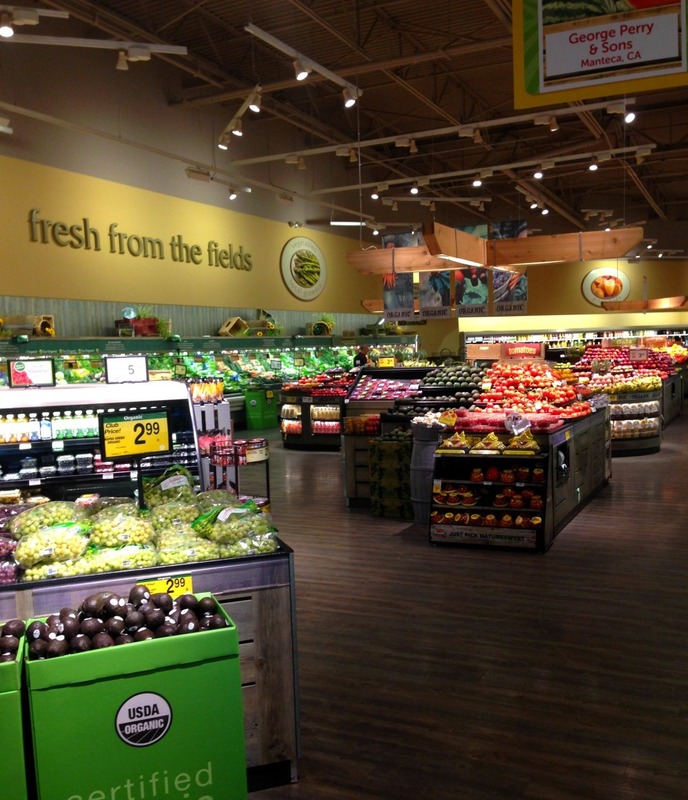 I spend the most time in the produce section looking for easy things to snack on, such as apples, carrots, celery, pears, bananas, and berries. I try to stick to organic, but I don’t always. If you wash your fruits and vegetables before eating you will be fine. Try to find simple things to pick up and grab that will not take a lot of time to prepare. Personally my favorite is a big bowl of berries washed and in the fridge. I just grab a few when I have a craving for quick sweet snack. Then I hit up the back of the store which is normally the meats and milk section. Since were talking about snacks, I’m going to stay away from the butcher today, since most meat has to be prepared. But I did stop by the deli for some turkey meat, which is a healthy snack filled with protein. Not a fan of turkey? Try chicken, ham or roast beef. One isle I must hit up is the cheese section. You know how I love cheese and it happens to be located next to the deli, which is perfect for pairing with my turkey. Plus across the isle is whole grain bread and crackers. This is my favorite part of shopping for me. 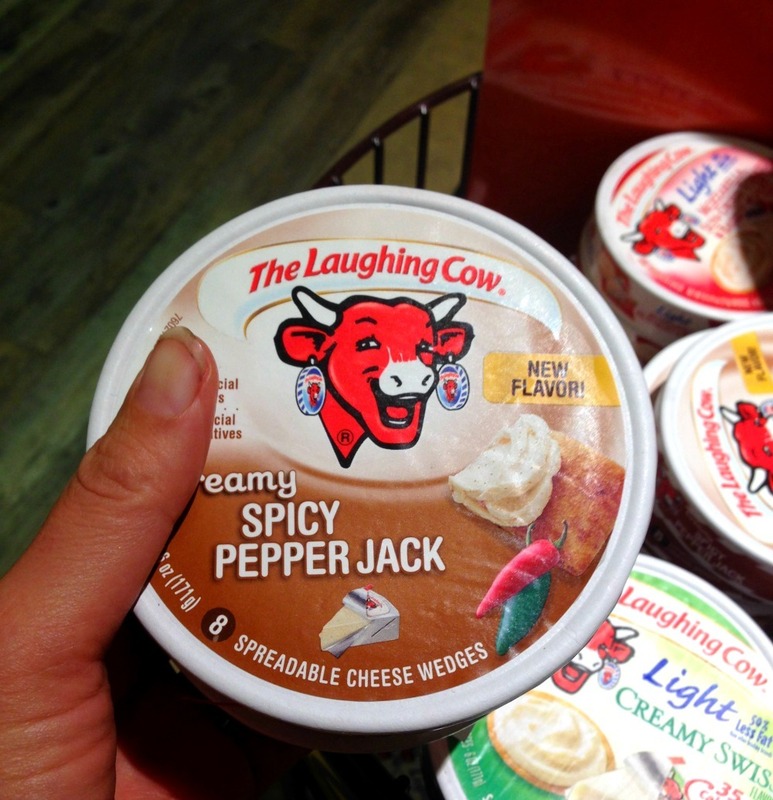 I saw a new The Laughing Cow Cheese in Spicy Pepper Jack and you know I am all over that. Yes, that will go with my turkey. I have been a fan of The Laughing Cow Cheese for years. It’s creamy, delicious and only 35 calories a wedge. You can’t beat that! My favorite is the Queso Fresco and Chipotle dipped in pretzels. Is it me or am I getting hungry? I’m thinking a turkey wrap with The Laughing Cow Spicy Pepper Jack Cheese. Oh yeah! 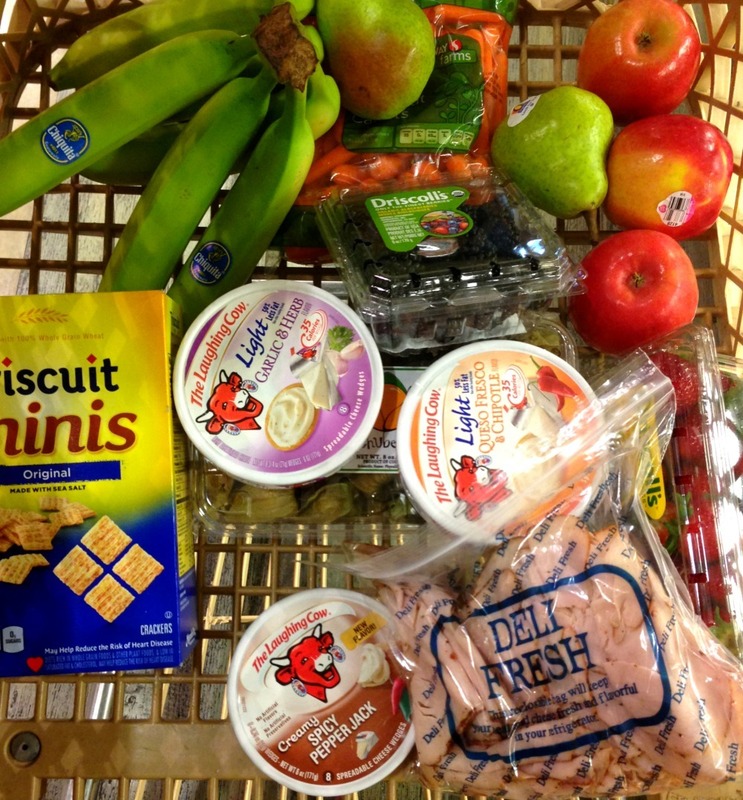 Now that I filled my cart up, I may tempt myself by going into the center isles, which contain mostly processed foods. But you know what? Today I don’t need any, but if I did, I would get items like chicken broth, olive oil, coffee, seasonings, pasta and maybe some pretzels and whole grain cereal, but I am all stocked up on those items, I am simply looking for quick, easy snacking ideas. Now that I picked up some healthy snacks, I need to make a personal goal to stick too! My goal is to stick to portion control snacks, place them on a plate and enjoy them. I am not going to keep reaching for more. This is truly hard, but I will try!! Check back with me to see how I do. What are your mindful snacking goals? Let me know so I can use them too! I may even include them in my next mindful snacking post in a few weeks. I had fun shopping with you today! I am glad I teamed up with The Laughing Cow for today’s post. These are really the tips that I follow when I grocery shop. I try my best to pick up the best snacks that I can find that will not only satisfy me and my family, but I know I am getting good nutrition and it won’t hurt my waistline. The Laughing Cow® invites consumers to take a mindful moment; to enjoy a tasty and satisfying snack experience at its best. Rich, creamy and delicious, The Laughing Cow® Spreadable Cheese Wedges are the perfect option to help consumers achieve that moment of ultimate snack satisfaction. I’ve been getting so much better about snacking. My downfall is always night time snacking or snacking during class. However, now that I work the late shift at work all I want to do is come home, shower, and go straight to bed. So night time snacking has been cut in half now. Hi Samantha! My downfall for snacking is either mid morning or after work. I have to admit, I have gotten better at night. I tell myself, no snacking after 6pm, so I stick to drinking water, most of the time or I make healthy popsicles. Snacking is truly my downfall. For over 6 months now, we’ve gotten quite a few organic and natural options through Amazon’s Subscribe and Save program. Doing that really throws an element of planning into the snacking process. Right now, we get things like peanut butter, raisins, and, lately, I’ve been a big fan of cacoa nibs. There is a bit of an acquired taste with those, but they are a really healthy superfood that goes well on top of things like cereal. Thank you Julie! Love the idea of Amazon Subscribe. I’ll have to check that out. I am not huge on cocoa nibs, but I do like them in a cookie, they give a nice crunch. Great post! I also usually try to buy organics, but sometimes they are much too expensive so I try to balance.